An invitation for you to test the new TOSHIBA Solid State Relays (SSR) directly on a "living" object. 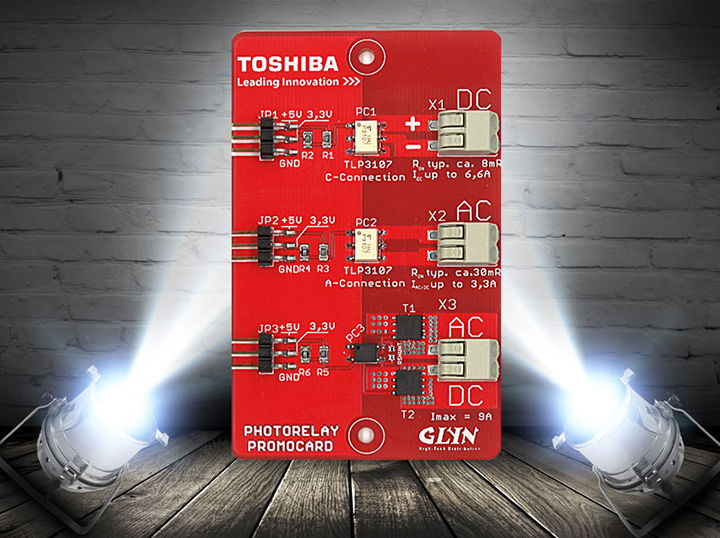 With the photo relay promo card from GLYN, you can get started right away. You can simply connect to your own application or test set-up. Further information about the TOSHIBA SSRs and the GLYN promo board is available directly from our product specialists.